Arliss M. Lickteig, 83, of Dell Rapids, passed away on Friday, February 1, 2019 at the Dells Nursing and Rehab Center. Her Mass of Christian Burial will begin at 10:00 a.m. on Thursday February 7, 2019 in St. Mary Catholic Church, Dell Rapids. Interment will be in the St. Mary Cemetery. Visitation will begin at 2:00 p.m. on Wednesday, February 6, 2019 at Kahler Funeral Home. 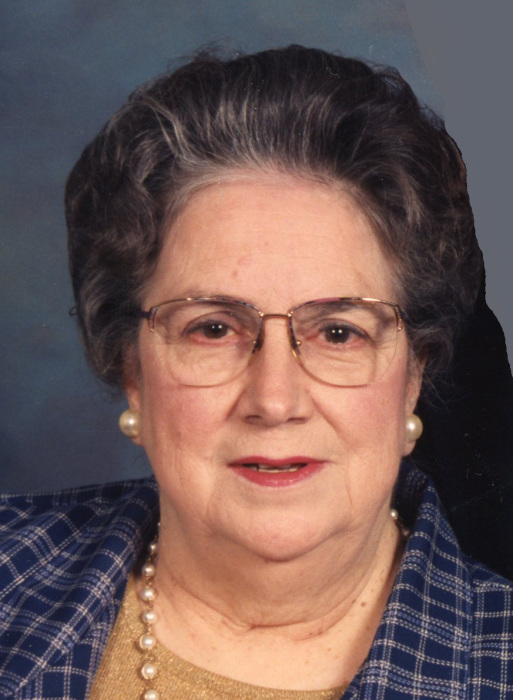 The family will be present from 5:00 p.m. - 7:00 p.m with the Christian Wake Service beginning 7:00 p.m.
Arliss Westwick was born on August 30, 1935 at Dell Rapids, SD, the daughter of Norris and Lillian (Thill) Westwick. She moved with her family to Mason City, IA until the second grade when they moved to Lake Preston, SD. The family moved back to Dell Rapids just before she started the fifth grade. She attended St. Mary School and graduated in 1953. She worked at Smokey’s until she met Florian Lickteig. The couple married on June 14, 1954 at St. Mary Catholic Church. The couple moved to Rapid City, SD before returning to Dell Rapids to raise their children. Arliss worked at the Dells Cafe, Dakota Industries and T and C’s until her retirement in the late 90’s. Florian died on April 16, 2007. Arliss remained in her home where she enjoyed many years with her four legged companion, Toby. She moved to Dells Nursing and Rehab in 2017. She is survived by her children, Craig (Sandy) of Sioux Falls, Arlen “Moe” (Grace) of Dell Rapids, Stuart of Grand Forks, ND and Jon (Ann) of Volga; her grandchildren, Nate (Megan), Megan, Stacey (Joe), Jen (Matt), Whitney (Caleb), Dustin, Nick (Abbie), Trevor (Taylor) and Sydney; her 11 great-grandchildren; her brother, Joe Westwick of FL and her nieces, nephews and many friends and extended family.